A screenshot from the locally produced video for Chris Molitor's song "Carry Me," one of seven musical shorts featured in Music Video Jams at the Bartlett. Kaylee Goins doesn't sound like she only recently got serious about music. But the sultry-voiced singer-songwriter originally from Missouri worked as a traveling photographer before settling in Spokane last January, when she decided to focus on performing and recording her forthcoming debut LP, DoomBox. As an up-and-coming musician, Goins recognizes that having more online content could help her book gigs and tours down the road. So she jumped on the opportunity to participate in Music Video Jams, a competition that randomly pairs local musicians and filmmakers and gives them two weeks to create a music video together, bringing the arts community closer in the process. "I thought, 'What a great way to work with someone and create a cool piece of art,'" Goins says. 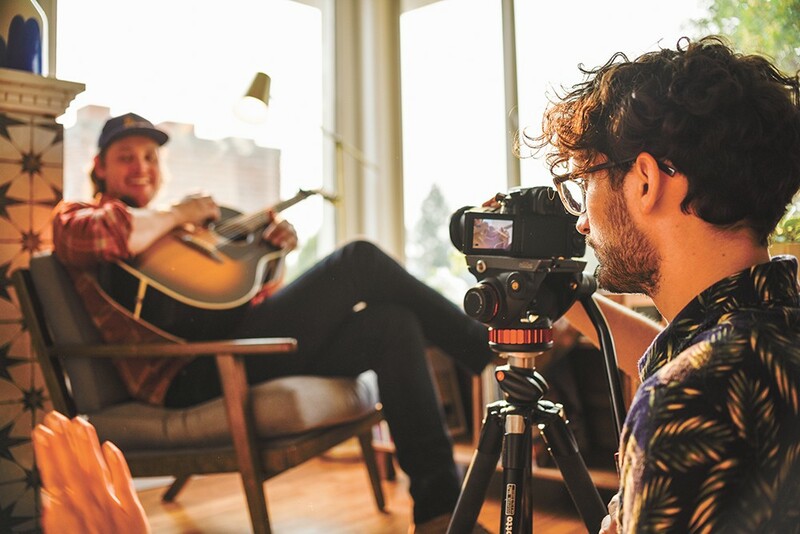 "Every musician wants a music video. Also, I'm a huge supporter of any upward growth in Spokane's music and technology scene." She was paired with Spokane-based photographer and cinematographer Nicolas Hinman, who lent a keen eye to the video for her yet-to-be-released song "Means to an End." But bringing the duo's artistic vision to life required going above and beyond, according to Goins. "We thought it would be cool to get some river and lake shots, but we also wanted to shoot in the morning light that's all pretty and soft," she says. "So, I'm not going to lie, I definitely got into Spokane River in a dress at, like, 6 am. It was a little cold." The video will debut on Sunday at the Bartlett, along with other entries from a strong lineup of local bands and musicians: Atari Ferrari, Catastrophe, Chris Molitor, Itchy Kitty, Light in Mirrors and BaLonely. Each musician/filmmaker team will receive feedback and criticism from a panel of judges during the American Idol-style competition, and, of course, a winner will be chosen. Karli Ingersoll, one of the events organizers and a co-owner of the Bartlett, credits sponsors CMTV, KYRS and Spokane Arts for getting the project off the ground. As a musician herself, she hopes the competition will nudge local bands in the right direction when it comes to self-promotion in the digital age. "Making music videos isn't something a lot of bands in Spokane do," she says. "We're hoping people get their feet wet and realize the process is a lot of work, but it's totally doable, and give them some context for future projects." Behind the scenes of the "Carry Me" video. Kendra Ann Sherrill is a filmmaker with North by Northwest Productions who works on the Emmy-winning television series Washington Grown. She produces narrative short films as passion projects on the side, but had never spearheaded a music video prior to participating in Music Video Jams. She was paired with folky singer-songwriter Chris Molitor, who had also never participated in a music video. "It was a new experience for him, too," Sherrill says. "We were very collaborative, and it was cool to hear about the meaning of the song for him, what he was thinking about when he was writing it, and I sort of pulled from that to tell a mini story in three minutes." The song in question, Molitor's "Carry Me," touches on homesickness and the comforts of familiarity — themes they thought were best represented by the experience of an astronaut who crashes and struggles to find his way home. Actually bringing the concept to the screen proved to be a technical challenge, but Sherrill got help from Don and Julia Photography, a local wedding photography business. "They do this series called Space Hero Missions, and they have this amazing replica of a spacesuit they use to take pictures of people in different situations," Sherrill says. 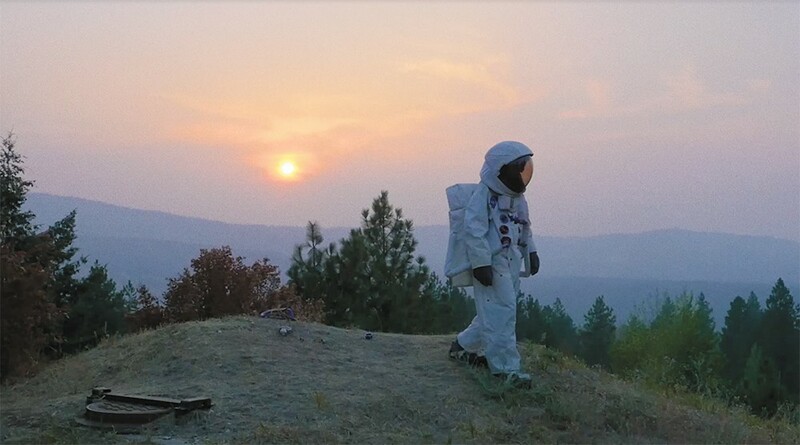 "This is why I love Spokane: We have a few mutual friends, so I just reached out to them, explained the idea and they let me use the suit in the video. I'm forever grateful, because the story wouldn't have happened if we didn't have an astronaut." Sherrill says Music Video Jams has been a unifying event for the Spokane arts scene as a whole, and that she plans to continue collaborating with Molitor after the competition on Sunday. "Music videos are a lot of fun for filmmakers because you get a lot of creative freedom, and it doesn't have to be as structured of a narrative," she says. "And when you can find a musician who matches your personality and style, that's helpful. Chris and I are going to keep making videos because we just love working with each other." The original print version of this article was headlined "Video Village"